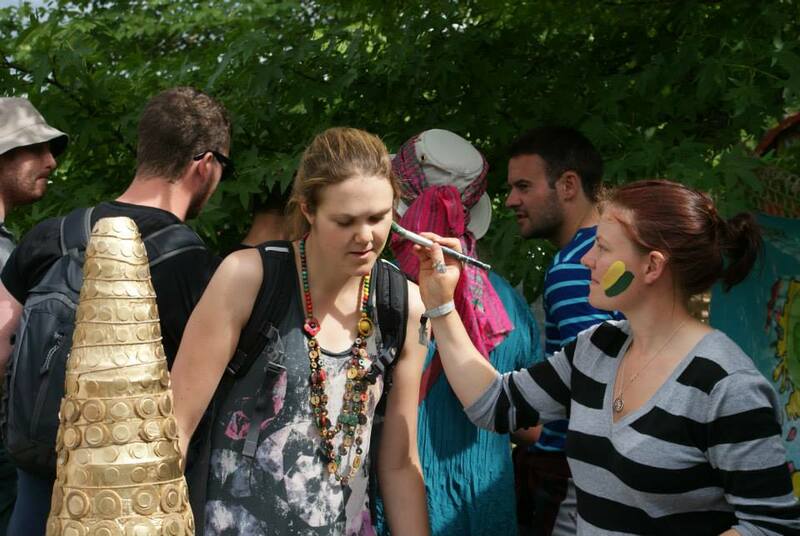 Going Green Between 15th – 18th August, Guerilla Archaeology returned to the Einstein’s Garden area of the Green Man Festival at Glanusk Park near Crickhowell. 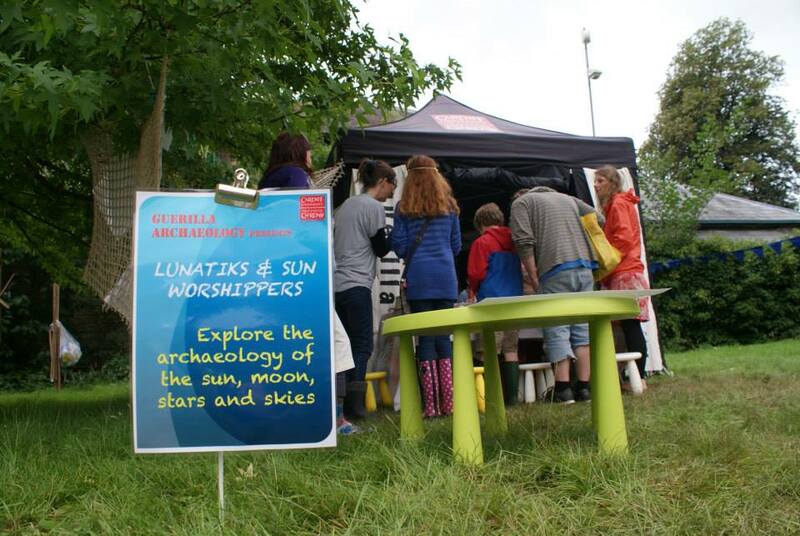 Our theme this year was Lunaticks and Sunworshippers, exploring the relationship between prehistoric life and astronomy. 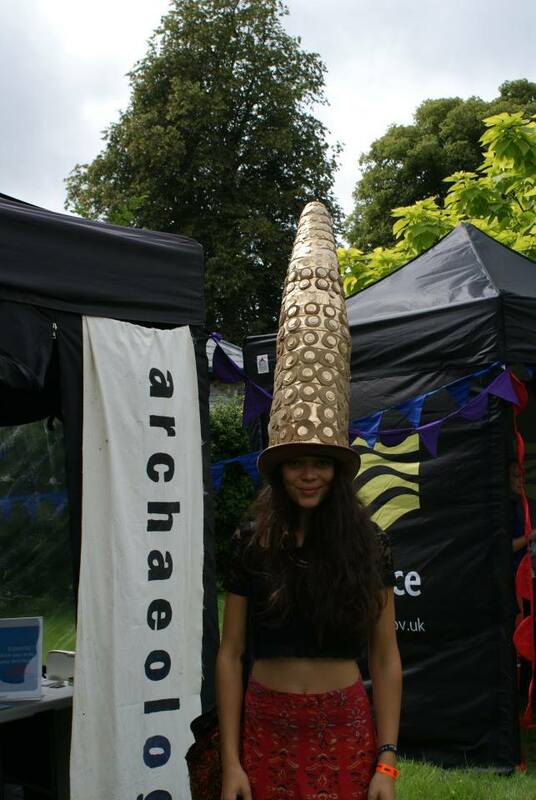 Over a warm weekend in the shadow of the Crickhowell hillfort, we showed off Bronze Age bling with astronomical applications, from the Nebra sky disk to the fabulous Berlin and Avanton gold hats. Festivalgoers were asked to tell us how their tents were aligned (the majority face east – like Iron Age round houses – or were aligned to face the mountains ), and found out their iTribe colours based on where they grew up and how that would affect the strontium and oxygen isotope ratios of their tooth enamel if their food and drink was locally sourced. 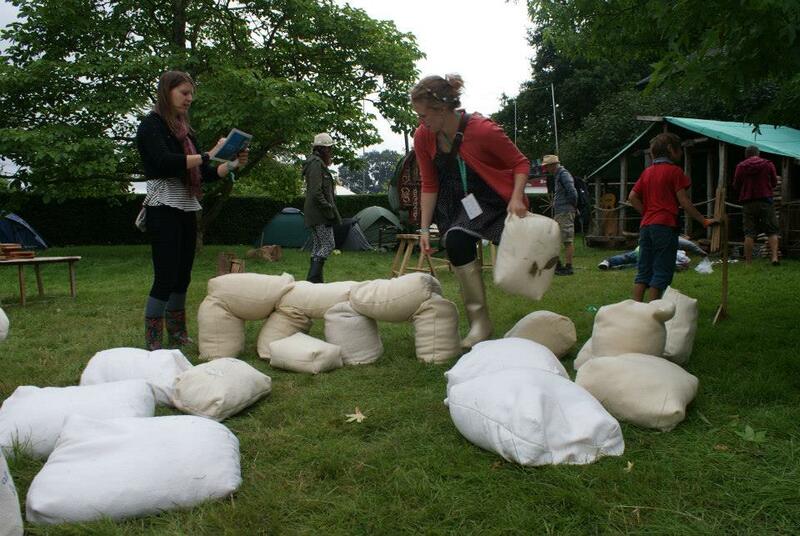 Visitors also had a chance to construct our model of Stonehenge – Sewnhenge – on its astronomical alignment (our model was 18 inches tall, just like Spinal Tap’s), to make some Bronze Age jewellery of their own, and learn about the doctor and druid William Price, an early pioneer of the onesie. 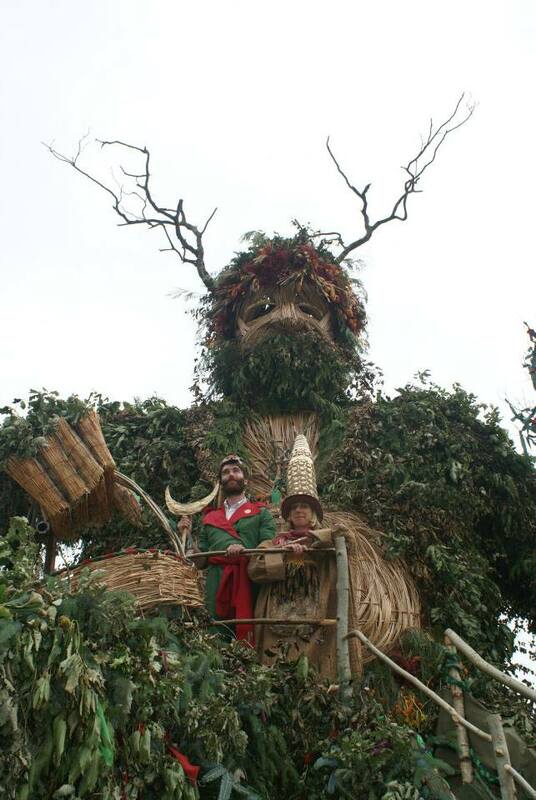 This was our third year in Einstein’s Garden, and once again we really enjoyed the interest we received from the very welcoming Green Man crowd.